When Mary, the mother of our Lord Jesus Christ received a revelation through an angel about the Son of God, she remembered her status, she was the Lord’s servant. A servant serves and goes about performing the duties of a master. It is therefore important that a servant knows the works and nature of the master. I am the Lord’s servant,” Mary answered. “May your word to me be fulfilled.” Then the angel left her (Luke 1:38). The revelation was at an appointed time. It painted a picture of the end to Mary and has she hurried to inform her relative Elizabeth, she found all to be true. The state of hunger and thirst is a state of need. The need to be in right standing with God is the definition of a servants heart. Mary had a servants heart and so it was not difficult for her to experience the overflow, the in filling by the Holy Spirit. For the spiritual eyes and ears to be open to revelation from heaven is one thing, but to be filled requires a thirst and hunger for God. Quiet moments at the Lord’s feet reminds us that we serve a jealous and loving God. He desires that we spend quality time with him. He is eager to reveal himself in different dimensions. Quiet moments at the feet of Jesus, should be where we hear God speak and a place where we engage in conversations with the Destiny Designer. It does not matter how long. Delay is not denial. The revelation awaits an appointed time and at the end there will be a manifestation, a display of God’s power, a moment of awe. The Bible states, “it will certainly come”. Hold firmly to the revelations you have received. Watch over the prophecies by applying the word of God. 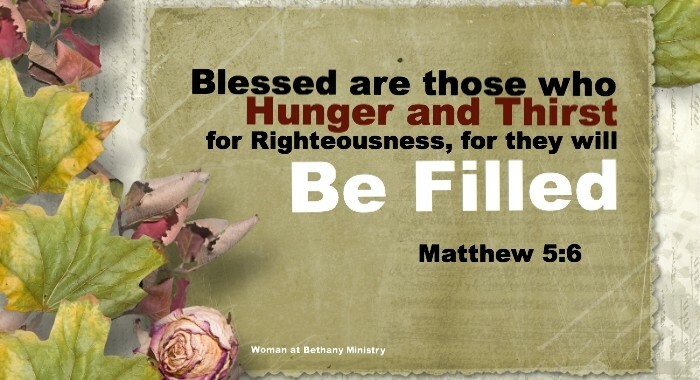 Continue to hunger and thirst to be in right standing with the Father. Say to the Lord, just like Mary said, “May your word to me be fulfilled”. It is certain that we will all get to a junction on destiny road; its the place where the expected will happen, make sure you are ready. There is no room for unbelief, fear, shame, insecurity and especially, “what people will say” syndrome aimed at taking us off cause. Let us fix our gaze on Jesus, the author and perfecter of our faith, He alone will see us through. Father, fill us to overflow because we long for you; we hunger and thirst for your rigteousness and so we receive your abundance flow by the Holy Spirit. Amen.